Thanks for the "shout out." I've tried crochet and have finished a simple dishcloth, it have no desire to learn any more. I'd rather knit. The wedding shawls are lovely, especially the white one. Perhaps someday, I will knit one. I think we need to hang together, we have such similar lists! I was telling my daughter that I should start knitting Emerson's wedding gown now so it will be finished when she is ready for it. Pie crust making? Still trying the find the one that clicks with me and as for crocheting...yes, yes, yes! My mama could crochet too, but all I can do is the minimum and I would really love to make an afghan, you know, the flowery one. I have been thinking about goal setting lately. It is hard to fit it all in with work, agreed. 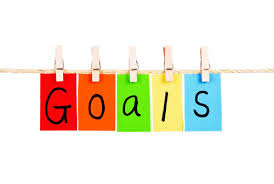 Hoping to do some goal setting this weekend too.